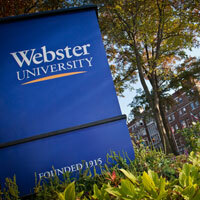 Webster has been accredited by HLC continuously since 1925. The Higher Learning Commission (HLC) has reaffirmed accreditation of Webster University, in an action taken by the Institutional Actions Council of the HLC at its meeting on July 30. HLC accredits degree-granting post-secondary educational institutions in the North Central region, encompassing 19 states, including Missouri, where Webster University’s main campus is located. Webster University has been accredited by HLC continuously since 1925, and this accreditation applies to every Webster campus and location across the United States, internationally and online. The reaffirmation concludes the 10-year cycle under the HLC’s Open Pathway program, a process that includes self-evaluation steps, compliance reports, collection of evidence, quality improvement initiatives, and interim visits leading up to a peer review team’s comprehensive evaluation and visit, which was conducted at the Webster Groves campus in spring 2018. Under this program, the next Reaffirmation of Accreditation will take place in 2027-28. The HLC’s criteria for accreditation cover a range of areas including institutional mission, ethical and responsible conduct, teaching and learning, and resources, planning and institutional effectiveness. In conjunction with its reaffirmation action, HLC requested two interim monitoring reports regarding academic program review, and enrollment and finances, to be submitted on July 1, 2020. During the previous 10-year review cycle, Webster, like many institutions, was asked to provide interim reporting about plans and progress in assessing student learning. The actions taken during that cycle reflect successful follow-up in an area that has since become an institutional strength.